Project: Xoán XXIII Sports Hall. 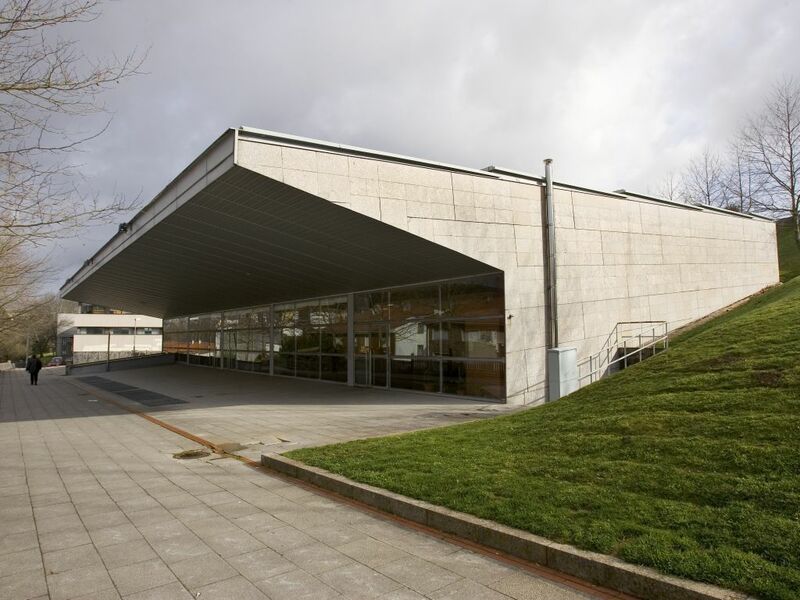 The small sports hall built on the slope descending from Avenida de Xoán XXIII was conceived as part of the remodelling of this important approach road leading to the historical quarter. The architects of this urban complex, the Catalan architects Albert Viaplana and Helio Piñón, were also commissioned to design the sports hall. 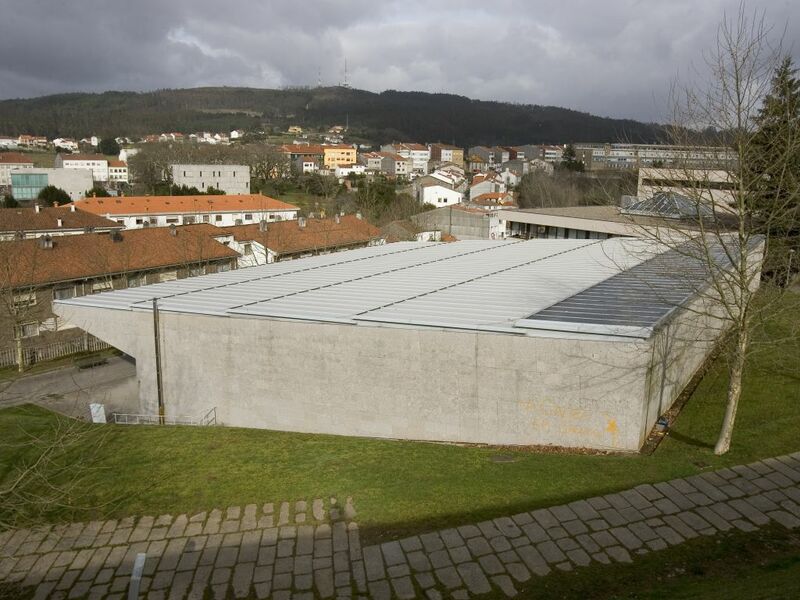 This sports facility was located on a steep landscaped slope so that its volume would go unnoticed for those walking along the avenue while contemplating Monte Pedroso, the main feature of this panorama. The sports hall has therefore been partially buried in the terrain with a sloping, single-plane roof that accompanies the descending slope. This roof is projected to create a covered entrance that, with its low height, is especially attractive. 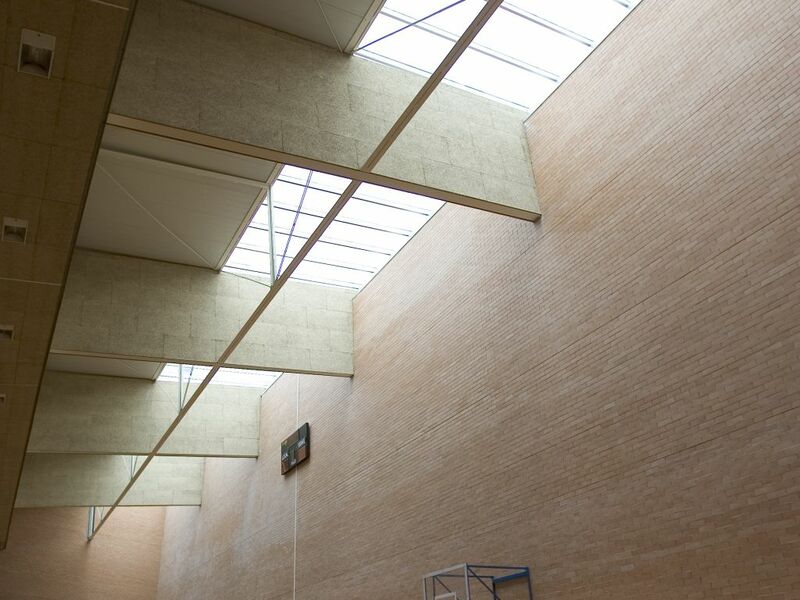 The itinerary from the Avenida Xoán XXIII to the interior of the sports hall forms a necessary part of the visit to the building. By means of an intentionally landscaped itinerary, we are obliged to go around the small building, observing its blind back façade, which barely stands out from the terrain, turn around its, which gives us a clear idea of its cross-section, and go underneath the projected roof to enter the building by way of its glazed exterior. From the top of the tiers we can see that that the entire space is illuminated from above by means of a skylight, whose sloping light bathes the back wall. Underneath the tiers there is complete minor programme of dressing rooms and storerooms, which have been resolved in an exemplary way.